Need reliable option for Phoenix sedation dentistry? Sedation dentistry is an option most patient’s choose to alleviate their dental phobia. Let Dr. Reem Kidess provide you with Phoenix sedation dentistry that enables you to have a comfortable dental experience every time. Dental anxieties and phobias. This is commonly called dental fear. Safety – You need the Phoenix sedation dentist that believes in safe, and state -of- the art dental procedures. We ensure that sedation is administered in the safest, and most comfortable manner possible. Dr. Kidess will discuss with you the method of sedation dentistry that suits you best. 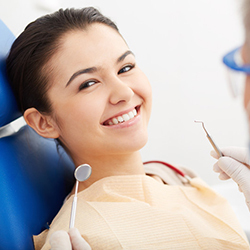 Our team of dental professionals will closely monitor your condition the entire time. You can expect only the highest standards of care and effective sedation dentistry from Dr. Kidess and her team. Less Anxiety – Dental phobia and anxiety are the main reasons why patients choose sedation dentistry. Our Phoenix sedation dentistry ensures that you are as comfortable as possibl, and stress free during the entire procedure. Less Discomfort – When you undergo sedation dentistry, you experience much less, to no discomfort. Sedation dentistry, especially IV Sedation, will have you in a gorgeous smile in no time at all, and you will have ZERO memory of the procedure, and a 5-hour appointment, will have seemed to have taken 5-minutes.